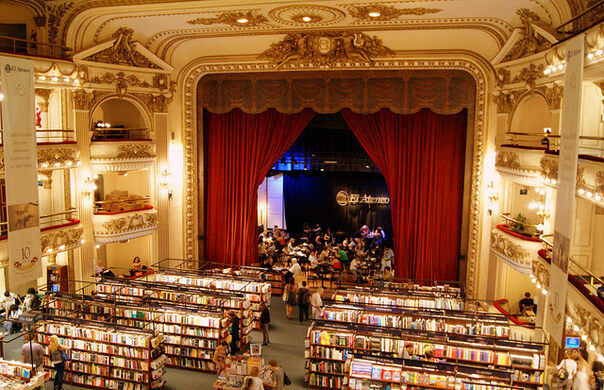 With each incarnation since its inception in 1919—first as a performing arts theater, then as a cinema, and now a bookstore—the Grand Splendid has proven itself befitting of its majestic title. 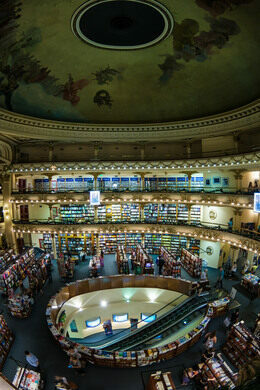 Having retained its original frescoed ceilings, ornate theater boxes, elegant rounded balconies, detailed trimmings, and plush red stage curtains, the interior of the building remains as stunning today as when it was first envisioned by architects Peró and Torres Armengol. In its glory days, the Teatro Grand Splendid hosted such tango legends as Carlos Gardel, Francisco Canaro, Roberto Firpo, and Ignacio Corsini. Building proprietor Max Glucksman was a leading figure in the world of tango in his own right, as owner of the influential Nacional-Odeon record label. 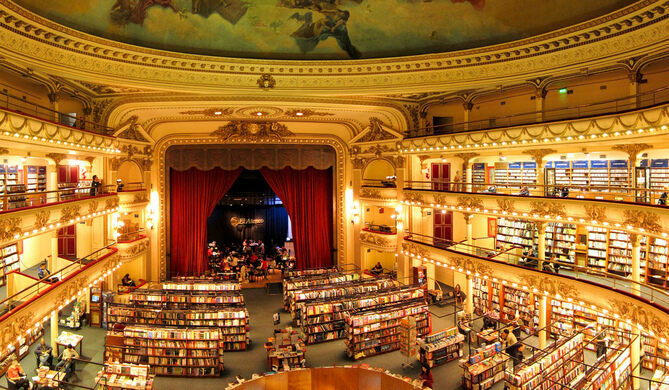 In 1929, the theater underwent its first transformation to become a cinema, with the distinction of being the first in Buenos Aires to show sound film. Glucksman’s love of tango carried over to the new cinema, with live tango orchestration accompanying the silent films projections. 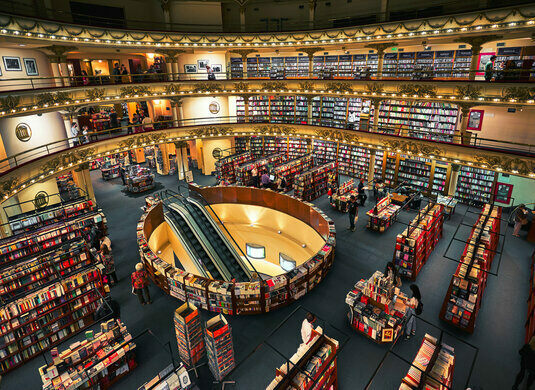 Architect Fernando Manzone oversaw the building’s most recent conversion into the El Ateneo bookstore and music shop, to the tune of AR $3 million. Just prior to the leasing of the building to Grupo Ilhsa in 2000, the Grand Splendid was under threat of demolition due to a poor economy. 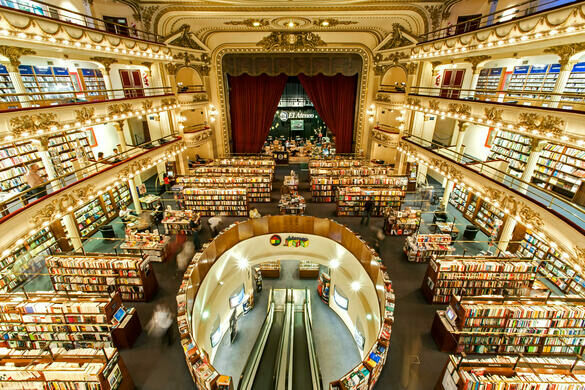 Though some lament the loss of a beloved cinema, it is now thanks to the Grupo Ilhsa—which owns 40 bookshops, including the flagship Grand Splendid location—that visitors can still revel in this wondrous monument of a bygone era. 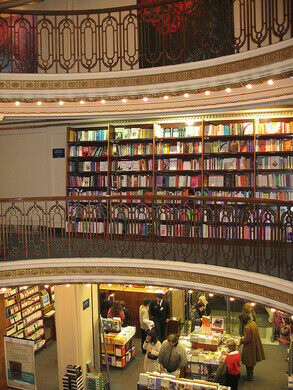 While the selection of books on offer is standard chain store fare and mostly in Spanish, bibliophiles will find the staggeringly opulent display of books to be reason enough to pay El Ateneo Grand Splendid a visit. 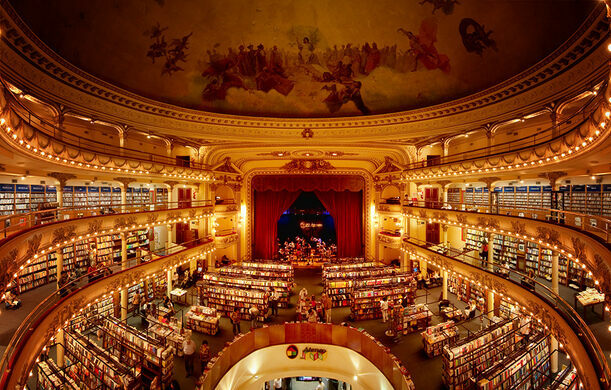 To fully bask in the splendor, one can also indulge in coffee and live piano music on the very stage where the Argentinean stars of tango once performed.